When the people of Bakersfield come to our practice for eye care treatment, they know we're always looking out for their best interests. We offer safe, state-of-the-art procedure performed with advanced equipment. It's this commitment to patients that has made us a leader in LASIK surgery and laser vision correction. With regard to a patient's best interests, we would like to consider smoking and its impact on LASIK. You may be surprised to learn this, but smoking can impact your overall LASIK experience. For most of us it's not news that smoking if bad for your health. Studies over the decades have linked smoking to lung disease, heart disease, cancer, and other general wellness issues. What many people do not realize, however, is that smoking can have a negative impact on post-surgical healing. It can take longer to heal after surgery if you smoke, and it can also increase your risk of infection. This pair of issue can cause serious problems. Infection after LASIK is the biggest complication to worry about after surgery, especially with the longer recovery time. While modern technology has reduced infection risk with all sorts of surgeries, post-op issues can occur. This infection can be especially troublesome if it affects the corneal flap, potentially leading to a flap complication. While you may not experience a serious complication after undergoing LASIK, you might experience major side effects, particularly when it comes to eye irritation. The eyes are especially sensitive to irritants after LASIK is performed. If you are exposed to smoke from cigars or cigarettes, this can cause your eyes to watery. In other cases, you may have dry eye after LASIK for some time, which makes smoke irritation extremely uncomfortable and unpleasant. Before you undergo LASIK, you should stop smoking. This is typical in the weeks leading into any surgery. By quitting smoking at this time, you can help put your body in the best possible condition to heal. This is one of many pre-op instructions that LASIK patients receive. 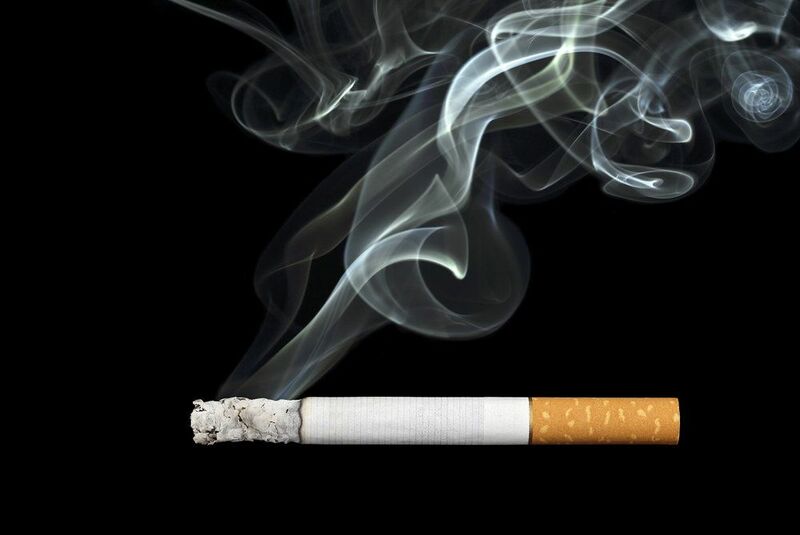 For a few weeks after LASIK surgery, it's a good idea to continue avoiding tobacco products. This is simply playing it safe and making sure that you are in the best possible health as your eyes recover. Avoiding infection, dry eye, and eye irritation is not a bad thing. Many people use the change in their vision as an excuse to change their outlook in life. Consider kicking the habit for good. This will not just benefit your eyes but your overall wellness. If you are interested in quitting smoking, we can offer some guidance. While our practice doesn't address matters directly, we can offer some information and direct your toward resources and guides that can make a life without smoking a reality. For more information about LASIK and how it can help you see the world better, be sure to contact our advanced eye care center today. The team here will work closely with you to ensure optimal care and the best possible results.